An initial analysis of Senate Bill 230, which repeals and replaces sections of the Alabama Ethics Act as adopted in the 2010 special legislative session, finds that it makes two radical changes. First, it removes the section of code that governs using a public office for personal gain, and secondly, it essentially turns the Alabama Ethics Commission into a repository for records. It also allows for unlimited gifts from lobbyists or principals to public officials, changes the rules governing lobbyists and principals and more. This analysis was prepared after consulting former lawmakers, prosecutors and ethics experts who spoke on background to preserve their independence should this matter require adjudication. A commission to reform and clarify the ethics law was formed a year ago to make recommendations to the Legislature. The commission’s suggestions were largely ignored in SB230. Attorney General Steve Marshall and Director of the Ethics Commission Tom Albritton, who were co-chairs of the Ethics Reform and Clarification Commission, have both come out against the bill as presented to the state Senate. The bill is sponsored by Republican Sens. Greg Albritton, Jimmy Holley, Tom Whatley, Del Marsh, Clyde Chambliss, Tim Melson, Tom Butler, Will Barfoot, Chris Elliott, Shay Shelnutt and Donnie Chesteen. No Democratic senators are party to the legislation at this time. In 2010, Republican lawmakers added strict laws to prohibit activities by public officials, lobbyists, principals and others under Section 36-25-1. 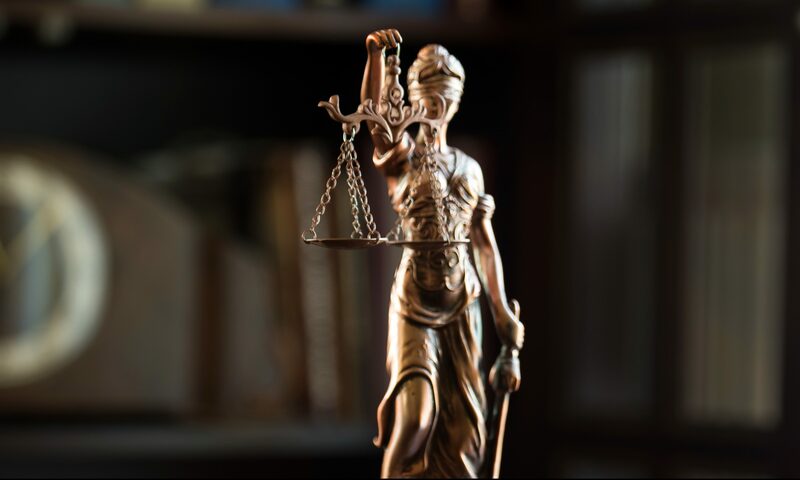 The new ethics statute removes Section 36-25-1, placing prohibited felony acts under the state’s criminal code. Why is this move fraught with problems? Under current law, it is a felony ethics violation for a public official or a public employee to use their office or position for material or personal gain. It is also illegal for a public official or public employee to use office equipment or facilities for personal use. Soliciting a thing of value from a person that the public official or public employee regulates or inspects is also a felony ethics offense under existing law. The law also prohibits a member of a legislative body from voting on legislation with which the member has a conflict of interest and prevents a member of the Legislature from acting as a lobbyist before an executive department or agency. SB230 moves all of the above offenses from under the ethics statute and places them in the criminal code, which means local district attorneys would be responsible for investigating and prosecuting these crimes. Anyone with even a modest understanding of a district attorney’s office knows that they are generally understaffed and lack the resources to execute wide-ranging investigations into public corruption. District attorneys — being elected officials — are reluctant to seek an indictment of a local public official given the political nature of the office. Example: Then-Speaker of the House Republican Mike Hubbard was investigated by a special unit of the attorney general’s office. The investigation, trial and conviction took nearly three years to reach a guilty verdict. It required thousands of staff hours and over a million dollars to prosecute. Even now, almost three years since his conviction, Hubbard’s case remains under appeal. Imagine if the charges against Hubbard had to be presented by his county district attorney. Is there a rational belief that a Lee County district attorney would have had the workforce, financial resources or political will to prosecute someone as powerful and as locally popular as Hubbard? SB230 places the burden on local district attorneys, which means, in essence, no influential political figure will ever be prosecuted. Even if a district attorney wanted to mount such a case, SB230 prohibits the district attorney from soliciting help from the Ethics Commission or the attorney general. Since 1973, the state ethics code allowed for the Ethics Commission to refer cases to a district attorney or the attorney general’s office. Under the new law, they are not allowed to refer cases to the attorney general. But this is a moot point since the Ethics Commission will no longer have purview over such public corruption violations. The attorney general is only mentioned three times in SB230. In SB230, the attorney general must approve any outside legal counsel hires for the commission, any material sent to the attorney general by the commission is subject to the Grand Jury Secrecy Act and district attorneys may request any previous opinions or material related to a case the district attorney is prosecuting. Again, it doesn’t allow a local district attorney to seek help from the AG in a public corruption case. All felony violations of the state’s current ethics laws will now be placed in the criminal code outside the reach of the Ethics Commission and the attorney general with a few exceptions. Any violations are to be prosecuted by local district attorneys. The attorney general could, under his or her constitutional authority, take a case from a district attorney, but this would be extraordinary. What happens to the Ethics Commission? If SB230 is signed into law, the Ethics Commission will primarily be a repository of records. It will have jurisdiction over some misdemeanor offenses and some campaign violations, but mainly, it will determine civil penalties and keep filings of statements of economic interests, lobbyist registration and reported gifts, loans and other things of value from lobbyists and principals to public officials. Unlimited giving to public officials. Current law bans any gifts from lobbyists and principals to public officials over $25. Under SB230, that ban is lifted, allowing a lobbyist or a principal to give unlimited gifts, loans or other things of value to a public official or their family. The only requirement is that a lobbyist or principal must report in writing the gift, loan or other things of value to the Ethics Commission. There is a $5,000 fine for a failure to report things given. SB230 does not require a public official to report any gift, loan or other things of value to the Ethics Commission. Example: The new law would allow a lobbyist to open an account at a high-end clothing store or cafe and list the public official as someone who could use their account. A public official could then buy suits and shoes, enjoy lavish dinners and more at the lobbyist’s expense. The only requirement would be that the lobbyist submits a report to the Ethics Commission. Would the commission review every report? How could the public become aware of such gifts? And if a lobbyist failed to report, how would anyone know? There is a section in SB230 that makes certain gift-giving illegal. The catch is that law enforcement would need to prove criminal intent. SB230 makes a bribe under $6,000 a misdemeanor. The same is true of theft of government funds or property less than $6,000. So even if law enforcement proves intent, the punishment is minor. After Hubbard’s conviction, a full-throttle effort was made to say that the law that determined a principal was vague. Republican leadership in both the House and Senate said a primary need for a new ethics bill was to define who was and who was not a principal more clearly. SB230 doesn’t really change the definition of a principal, but it does shift the burden of a principal. Again, it is a moot argument because other sections allow broad latitude for a principal to interact with public officials, offering gifts and promises of future gains such as employment. The new ethics law would allow a company to designate any member of the organization as the principal. Even if the principal in this case, say a secretary, was found guilty of committing a crime. The individual cannot be held criminally liable. The burden of the offense is placed on the corporation. Example: In Hubbard’s case, he was convicted for asking for and receiving a thing of value from a principal. The current law states that a principal can’t give a thing of value to a public official. Because the principals were subject to being charged under the same felony ethics statute, they cooperated with prosecutors in Hubbard’s case. Under the new law, these individuals could not be persuaded to testify against Hubbard because they would not be personally liable. So the dire need to define a principal resulted in a principal being anyone the company says it is, and even if the principal commits a crime, only the company is held accountable. A company cannot be sent to prison or forced to testify. Among the many changes in SB230, any lobbying efforts before the executive branch no longer require an individual to register as a lobbyist. A lawmaker or any individual can ask the governor for things and not be restricted in those requests. Example: Hubbard lobbied then-Gov. Robert Bentley for $20 million in workforce training and support for one of his clients. Bentley wasn’t aware Hubbard was being paid for his efforts and agreed to the arrangement. Hubbard was convicted for soliciting things on his client’s behalf. SB230 would remove such restrictions. Lobbying now only applies to those asking for things from the Legislature, meaning requesting anything from the governor or state agencies doesn’t demand an individual register as a lobbyist. During the 2010 special session where Republican lawmakers passed sweeping, hard-nosed ethics reform, a substitute bill was offered that would have allowed many of the things now proposed under SB230. Fresh off their election, promising a crackdown on 136 years of Democrat corruption, the measure was quickly voted down. The experts APR interviewed for this brief analysis agree that SB230 guts the current ethics laws and plunges the state into a more precarious situation where it will be perceived as a place where businesses must engage in pay-to-play. Alabama has a history rife with public corruption and is routinely labeled one of the most lawless states in the nation. SB230 places fewer restrictions on public officials than the law that proceeded the 2010 reforms. Al.com’s Kyle Whitmire and APR‘s Josh Moon have both offered compelling reporting on SB230 and are recommended for further reading. Over the last several legislative sessions, ethics clarification bills were offered by the state’s attorney general. Former prosecutor Matt Hart oversaw the 2017 proposed measure. Those bills were rejected because they kept the strict language championed by Republicans in 2010. APR‘s analysis based on hours of conversation with respected experts concludes that SB230 must be rejected by the state Legislature.